Han Solo's costume is so stylish and cool that Lando Calrissian stole his clothes. Given that, the Star Wars character seemed like the perfect subject for this installment of One Character, Different Costumes. He has various outfits in the original trilogy, and I've seen cosplayers of both genders tackle every one of them. I've seen screen accurate costumes, femme versions, and dresses. 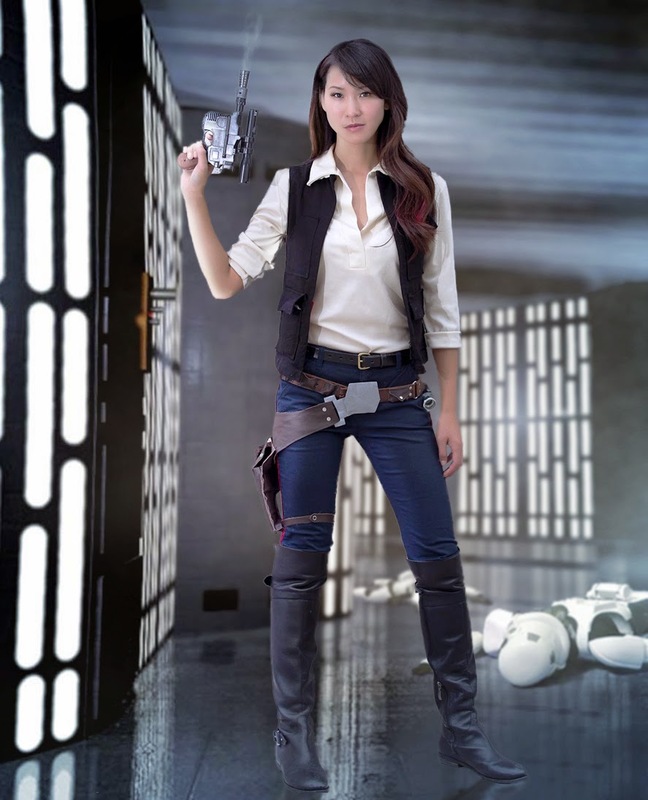 If you're considering a Han Solo costume, looking at how other cosplayers have put the costume together might help you with your design. 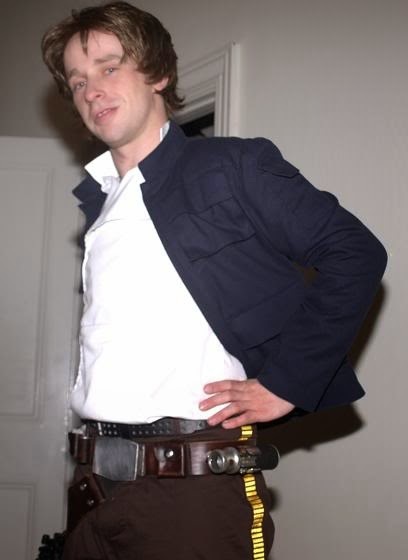 My Han Solo costume from four years ago. I did a crossplay version because I couldn't find a replica vest cut to fit women and didn't (and still don't) have the sewing skills to make my own. I applied the bloodstripes with red hem tape. Steampunk Han Solo, photo by BBQdPhotography. This cosplayer replaced Han's blaster with a saber, added goggles, and changed out the vest for a subtle and cool steampunk effect. Rod of the Rebel Legion has the Bespin Han Solo costume. This might be my favorite look of Han's - it has the brown pants with yellow stripes and the navy blue jacket. Han Solo dress design by Darling Army. 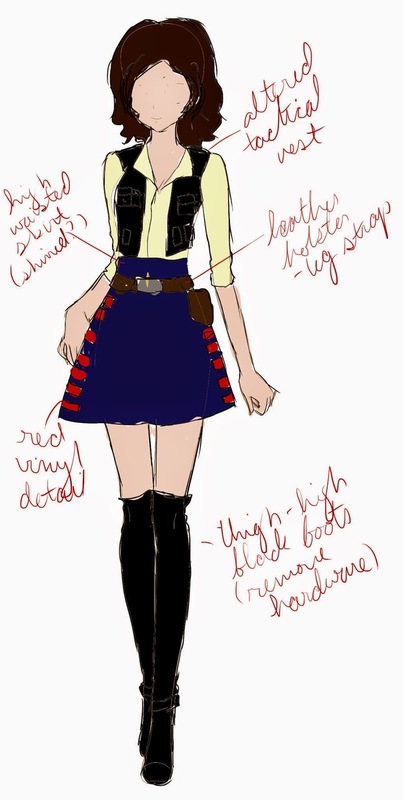 This cute look was a design for a possible costume, and Darling Army has also made a Han Solo cosplay pinafore. 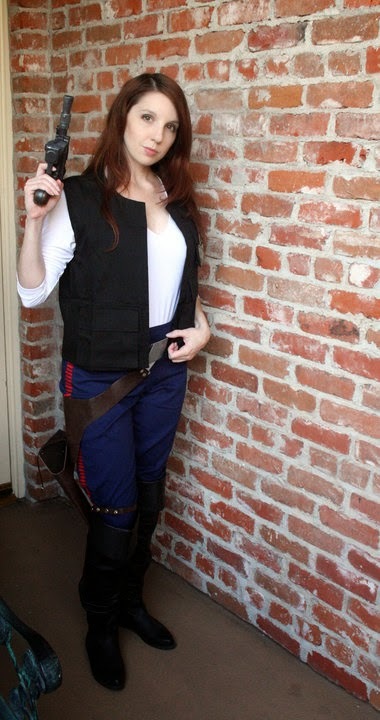 Femme Han Solo cosplayed by Emily, a.k.a. The Stylish Geek. I love this version of Han's A New Hope costume - it represents more of what I wanted to do with my Han look. Emily made the holster and buckles and put together the entire costume. 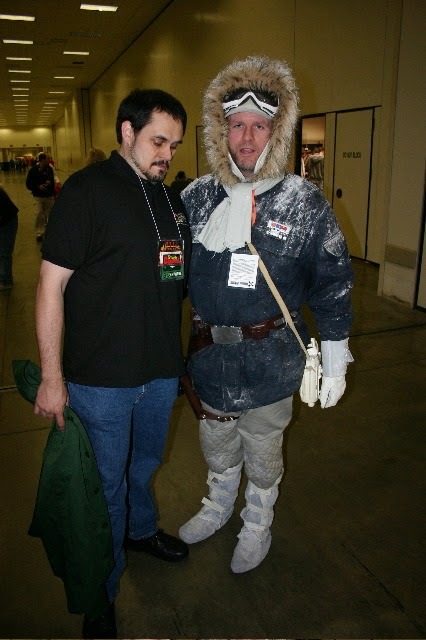 Hoth Han Solo cosplayed by Dan Hyatt. I adore this costume of Han's, and I appreciate that the cosplayer went to the trouble of dusting the jacket with fake snow. All he needs to complete the look is a tauntaun. very nice website!! Guy, .. Excellent .. Super Will I bookmark your site and take the feeds also.I am glad to search out a lot of useful info here in the post, we’d like work out more strategies on this regard, thank you for sharing, good your blogs. Nice collection of costumes, thank you for this share. Your wallpapers, notifications sound, whatsuply and currently with this tutorial. couple of functions of the Musical.ly application: musicallylogin Musically has even more to offer to the customer compared to simply all this. Best Sewing Machine For Beginners https://bestsewingmachineforbeginnersnow.com - Check this amazing review site to find top Sewing machine for beginners. The blog you shared was interesting, thank you for sharing this wonderful blog.